From your first point of contact with Anglo-Dutch language consultants (ADlc) you will have one contact person who will guide you through the process. This course coordinator translates the client’s wishes into practical training programmes, selecting the trainer that best suits the learner and overseeing the progress of the course to completion. The small team of qualified, native-speaking teachers specializes in professional in-company training. They are picked not only for their professional abilities but also for their excellent people skills and flexibility of approach. They can adapt the method of training to the different learning styles and levels of the individual learner. We can also incorporate the learner’s business role such as finance, IT, HR, marketing, branding, legal, secretarial or management into the course. Professional journals and documents from the companies themselves are often developed for class material. Materials are drawn from a wealth of the latest English language teaching publications by Cambridge University Press, Longman, Oxford University Press among others. Interactive materials and web-sites are also used to encourage active involvement between classes. But above all, we feel that the enthusiasm of the trainer is what motivates the participant to learn and makes the whole process positive and enjoyable. 1. The proposal and fee quoted on the proposal is valid exclusively for the person or persons and the company named on the proposal. The course and the course fee are not transferable to another person or company. 2. The fee quoted is valid to the company and person or persons specified on the proposal for a period of up to 6 months. If a client wishes to start the course mentioned on the proposal after this period a new quote must be requested. 3. The fee is payable in advance. Payment is to be a maximum of 30 days after the issue date of the invoice. 4. Payment to be made to Anglo Dutch language consultants by bank transfer to bank account 4551514.An invoice will be sent with all relevant details once the proposal has been signed. 1. ADlc undertakes to reply to any general enquiries or complaints either digital or in writing within one to two working days and within one week at the latest with the exception of holiday periods. Shona Ackerman is the course coordinator and can be contacted on 06 156 94 629 email: adlc@upcmail.nl . 2. For questions regarding scheduling of classes by students: the contact numbers of the trainer given at the beginning of the course should be used. 1. Anglo-Dutch undertake to provide the services outlined in the proposal to a high professional standard .All trainers have been screened for appropriate skills, qualifications and professionalism. 2. An evaluation will be sent to the participant or participants mid and end course to check that it is meeting the goals as outlined in the proposal.Any items with a score of less than 7 out of 10 will be raised with the trainer for improvement . 3. Poor evaluation scores of less than 7 can lead to the substitution of the trainer if requested by the client and/or participant. 1. A fixed time per week will be arranged in advance for the classes. If the participant needs to change this time it is at the teacher’s discretion to agree to this. 2. The teacher will make him/herself available on the times arranged for the course with the exception of sickness and pre-arranged holidays. 3. If the course is suspended for any reason, the remaining classes will be valid for a maximum of 3 months after which time all outstanding classes will be forfeited. 4. If the classes are suspended, the arranged time will not be held open for the classes and on commencement of the course a new arrangement will be made for the course time that suits the trainer’s schedule. 5. If a class is cancelled within 48 hours the class will be charged. 6. If a class is cancelled with more than 48 hours notice ,not including weekends, it will be rearranged. A maximum of 20% of the total number of classes will be rearranged after which any cancelled class will be charged. 7. If the student wishes to rearrange the time of a class to another time within the same week, it is at the teacher’s discretion if he/she agrees to change the appointment. If he/she is unable to reschedule the class the normal cancellation policy applies. 1. If the teacher is unable to teach a course e.g. through sickness, the client may ask Anglo-Dutch for a substitute to teach the course only after the cancellation of 2 classes. 2. Anglo-Dutch has the right to substitute the teaching of a class by another teacher that is equally qualified to teach the course. This would only be after consultation with the client. 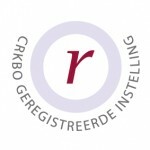 1.Anglo-Dutch reserves all intellectual property rights in all documents created by Anglo-Dutch in connection with a Training Class and in all trademarks, software, patents, know-how and designs. The client is not authorised to copy, modify or provide this to third parties. 2.The copyright of the text books published by partied other than Anglo-Dutch rests with the publishers as stated in those texts. 1. ADLC undertakes to treat all sensitive information that is divulged during the process of setting up and carrying out a course as confidential and will not pass this on to any third parties. 2. Neither the trainer nor coordinator will use any internally sensitive information gained through the carrying out of classes for their personal gain. 1. All complaints will be registered on receipt by ADLC and replied to initially within one week. All complaints should specify the name of student or students and the company that the training is for. The reason for the complaint should be outlined with as much detail as possible including dates and times. ADLC will seek to find an equitable solution that is acceptable to both parties. 2. Complaints will be handled within 4 weeks. 3. All complaints will be treated as confidential and will be registered and kept on file for a period of up to 3 years by ADLC for further reference by third parties e.g. the independent third party. 4. If the client and ADlc cannot come to a satisfactory conclusion , the ombudsman, Mr R Brame will be contacted at Postbus 1002 , 2302 BA Leided. His conclusion is binding. A financial penalty can not exceed the total amount of the course. 5. Any monies to be refunded to the client will be made within 14 days of the final decision by the ombudsman only to the same person/company and bank account as the original payment. 6. If an extended period of time is needed to investigate the claim, the complainant will be notified within 4 weeks of the registration of the complaint. The complainant will be given the reason the extension is needed. A realistic assessment will also be given of when the outcome is to be expected. 1. The client has 14 days grace after signing the proposal to cancel the agreement. This should be received in writing/ by email . A refund of any payments will be made according to the time schedule below. 2. If cancellation is made 6 weeks before the course is scheduled to commence the client will receive 75% refund of the full cost of the course. If cancellation is at least 4 weeks before the course is scheduled 50% will be refunded. If cancellation is at least 3 weeks before the course is scheduled 30% will be refunded. Cancellation 2 weeks before will not be refunded. 3. If cancellation is made with less than 5 week’s notice the client will be responsible for payment for all class materials as quoted in the proposal. 4. Any monies to be refunded to the client will be made within 14 days of the notification of the cancellation in writing and only to the same person and bank account that the original fee was paid from.